A movement is afoot to wean northern communities off of diesel power. Colville Lake, a First Nation community about 50 kilometres north of the Arctic Circle, was quiet for a few hours in late February when, for the first time, solar power kept the lights on and the furnaces running. For years, the settlement of about 160 people has been powered by noisy diesel generators, but a new hybrid energy system that combines solar and diesel power with energy storage began operating in December 2015. By the end of February, Northwest Territories Power Corporation (NTPC) was able to switch the generators off for a few hours at a time. “Talking to people in the community, they said that when that hum of the generator stopped, the silence was amazing,” says Myra Berrub, manager of energy services for NTPC, the government-owned utility. During the long, sunny days of summer, Berrub expects that all of the electricity in the community will come from two solar arrays that are connected to lithium-ion batteries. The new system, installed after extensive consultations with the community, will reduce its dependence on diesel, which can only be brought in once a year by winter road. NTPC sees it as a demonstration project on how to provide cleaner and more secure energy to remote communities. “It is certainly something we are hoping can be replicated,” says Berrub. Diesel is currently the fuel of choice in almost 300 remote communities across Northern Canada, home to 200,000 people. More than half are indigenous communities. More than 90 million litres of diesel are trucked, barged or flown into these communities every year. Delivery costs have risen dramatically – up 70 per cent in Ontario between 2004 and 2008. It is a trend that is expected to continue because of climate change. Rising temperatures are shortening the window during which delivery trucks can safely cross frozen lakes. At the same time, the demand for energy is increasing. In Colville Lake, for example, peak demand went from 40 kilowatts in 1990 to 160 in 2014. Many communities are under pressure to increase the capacity of their generating system to serve growing populations and fuel economic growth. Lack of generating capacity is a serious problem. It restricts expansions to nursing stations and schools, and limits construction of new homes, forcing families to crowd into existing houses. A number of remote communities, such as Colville Lake, are turning to renewable sources to bolster their energy supply. In Northern Ontario’s Deer Lake, for example, the construction of a 152-kilowatt solar panel on the rooftop of the school meant that five new homes could be connected to the grid. Lack of generating capacity also limits economic growth, according to a 2014 Senate committee report titled “Powering Canada’s Territories.” Existing businesses cannot expand and new businesses cannot open without a reliable source of energy. Then there are the environmental costs. Generators are noisy and emit nitrogen oxides and other pollutants. Spills can contaminate soil and groundwater. A spill could be devastating in communities where diesel is barged in, says Judith Sayers, the former elected chief of the Hupacasath First Nation on Vancouver Island and an adjunct professor of business at the University of Victoria. As well, many First Nation, Inuit and Metis communities are worried about climate change and want to do their part to reduce emissions of greenhouse gases. Using local resources and protecting the environment for future generations is consistent with their values and traditional way of life, says Sayers. All these factors are driving the growing momentum to add renewables to the energy mix in remote communities. In July, Manitoba, Quebec, Newfoundland and Labrador, the Northwest Territories, Yukon and Ontario established a pan-Canadian task force to reduce the use of diesel fuel to generate electricity in remote communities. But governments can’t achieve that goal alone. Last year, the Pembina Institute brought together First Nations, governments, the private sector, researchers and non-governmental organizations for the second biennial Renewables in Remote Microgrids conference. 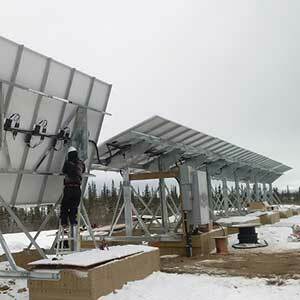 The MaRS Discovery District’s Advanced Energy Centre is also working with stakeholders to identify and overcome various barriers to adopting alternative energy systems in remote communities. The centre is a private-public partnership between Siemens Canada, Ontario Power Generation, London Hydro, Oakville Hydro, NRStor, Hydro Ottawa, the Independent Electricity System Operator and Ontario’s Ministry of Energy. One barrier is the lack of confidence in alternative sources of energy. People in northern communities have relied for years on generators. And as in Colville Lake, they expect that diesel generators will remain an essential part of the system, providing power when it is cloudy or on the darkest days of the year. “Even with the addition of renewable energy resources, everybody agrees the diesel generators should stay on site and be serviced to be functional – that is for sure,” says Aaron Barter, program manager at the Advanced Energy Centre. Many communities are now considering projects, but a number of obstacles stand in their way. Renewable energy projects can require a significant initial investment. The Colville Lake project, for example, cost close to $8 million, although that price tag – in addition to a new diesel plant, large battery energy storage system and a utility-scale solar array – includes the cost of moving to a new site at the old airport. Communities often must turn to multiple government departments and agencies to raise the capital for alternative energy projects, says Barter. For example, a solar and conservation project at T’Sou-ke First Nation in British Columbia, received funding from 16 different sources. The Advanced Energy Centre is working with its partners to identify alternative funding models and other solutions. Both Barter and Sayers see tremendous opportunities for the private sector as communities move forward on this issue. Sayers’ community is not remote, but it is a leader in renewable energy. In the late ’90s, when she was the chief, the Hupacasath First Nation was concerned about plans to build a generating plant in nearby Port Alberni. 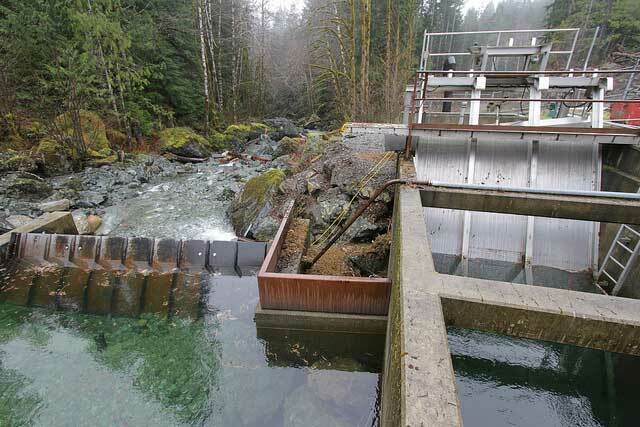 As an alternative, the First Nation built a micro-hydro project on China Creek that now supplies power to 6,000 homes. Water flows downhill through a pipe and powers a turbine. The First Nation partnered with Synex International, an independent power producer and engineering firm that has a 12.5 per cent share in the project. The other partners are the Ucluelet First Nation (10 per cent) and Port Alberni (five per cent). Sayers predicts other small-scale entrepreneurs and independent power producers will see the opportunity and partner with First Nation communities as they shift to renewables. 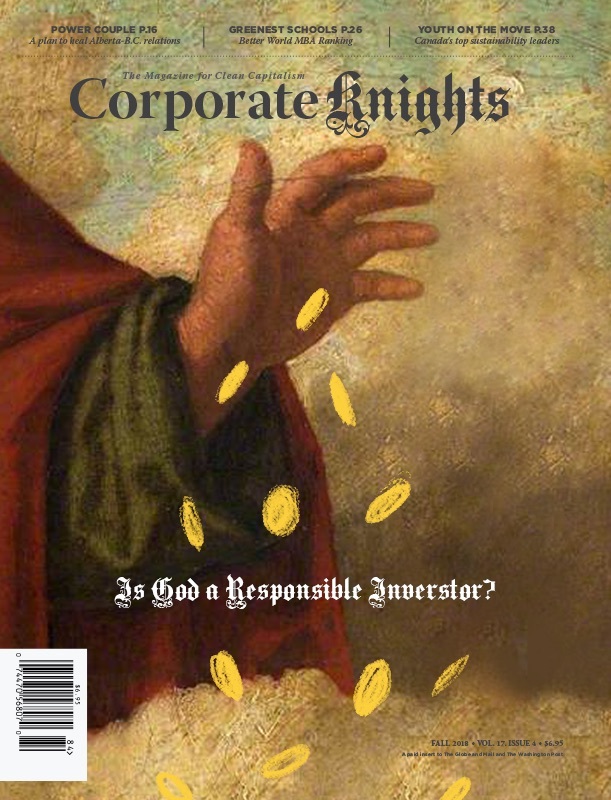 Barter sees a global opportunity. The remote microgrid market is currently worth an estimated $2.4 billion, and that is expected to increase to more than $10 billion annually by 2024. Back in Colville Lake, as the days get longer, progress is measured in the increasing number of diesel-free hours of power generation. But the project will also offer answers on the feasibility of renewables in the north.